Groups of 24 representatives adopted and announced a statement on trust and support for president G.M Kim Kyung-deuk and current executive. 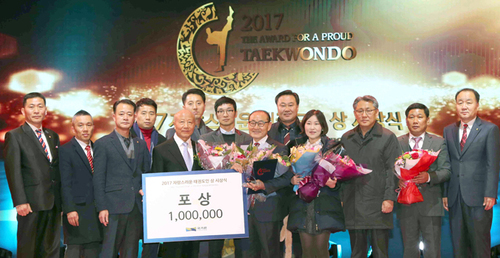 In January 30, Gyeong Gi-Do Taekwondo Association (hereinafter referred to as GTA) held “2019 General Meeting) at Association’s Taeguk Room with representatives of 24 branches among 30 branches. 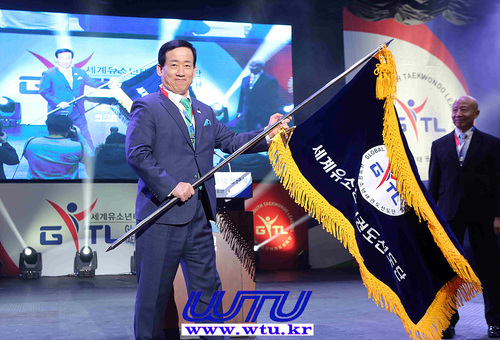 In the General Meeting, GTA announced a statement saying trust and support for current executive and president G.M Kim Kyung-deuk who is suspended for 6 months by Fair Sports Committee. 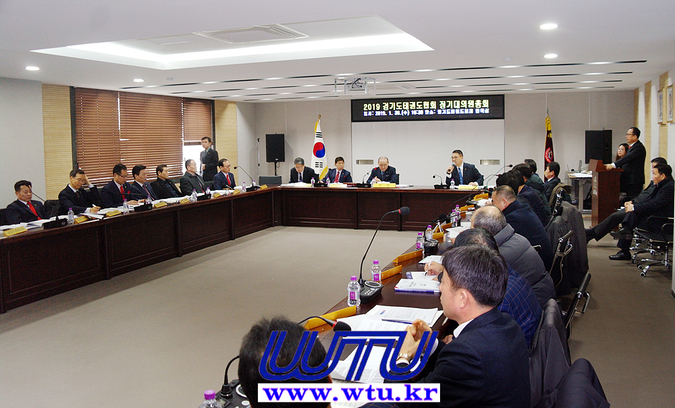 In the General Meeting, representative Jungwook Seo of Uiwang-si motioned agenda on “Adoption of statement on trust and support for current executive related to president G.M Kim Kyung-deuk” and it was brought in as the bill. 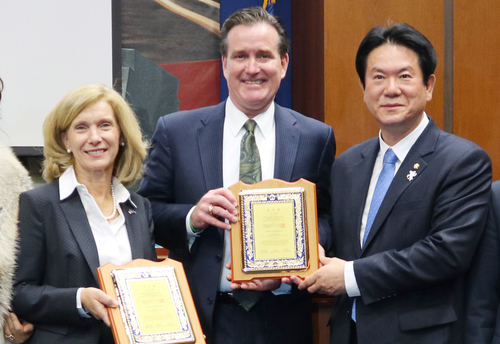 In response, all 24 participating representatives consented on agenda and announced “Statement on trust and support for president G.M Kim Kyung-deuk and current executive”. 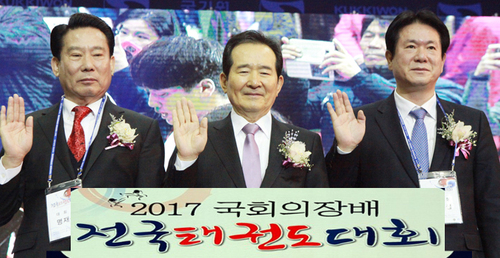 While the agenda of the General Meeting was the “Agenda on 2018 business result and approval on settlement of account”, the urgently motioned agenda on “Adoption of statement on trust and support for current executive and president Kyungduk Kim” was adopted with consensus of all participating representatives. 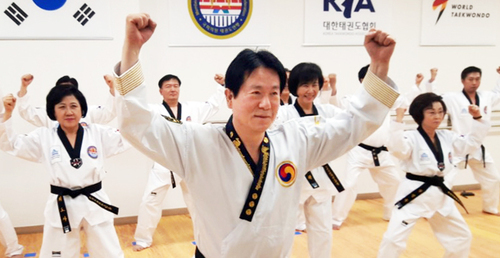 In the discussion meeting after General Meeting, Executive Director Pyeong Kim of GTA clarified that GTA will be having a legal response on provisional suspension of president Kim. Also, Kim also expressed that GTA will be having a legal action on vice-president OO Kwon who is causing damage on parents at unrelated branch events. 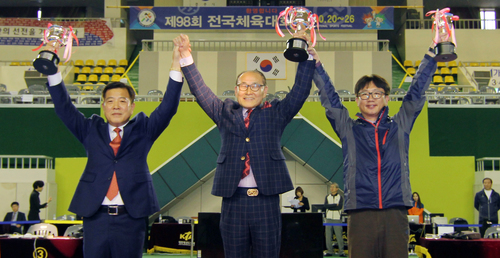 President Kim and GTA were suspended for 6 months by Fair Sports Committee. 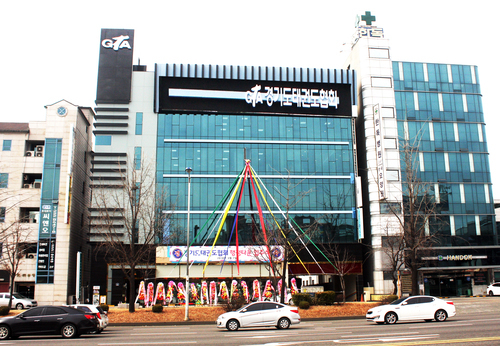 In January 23, GTA announced statement and said that “All executives and members including president G.M Kim Kyung-deuk are not involved in any misdeed or shameful affairs. 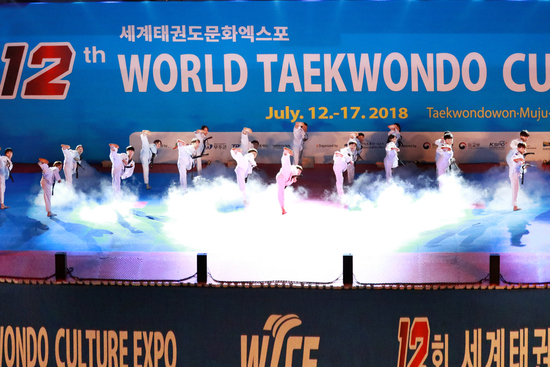 However, all of the executives and members of GTA deliver sincere apology for harming the taekwondo field with suspension of president G.M Kim Kyung-deuk. We also promise to fight with powers committing misdeed and eradicate them. 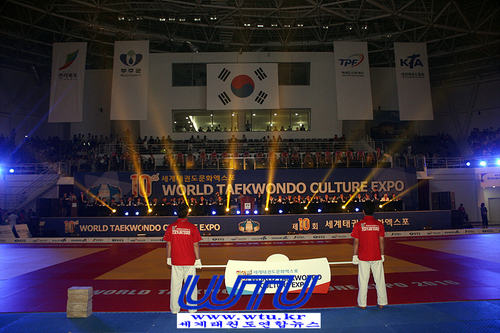 We will also try our best to recover the traditional taekwondo and strengthen our selves”. 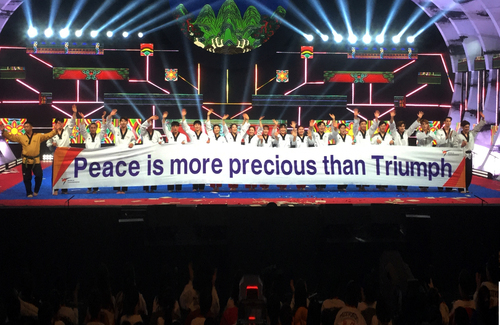 Following is the full text for statement on trust and support for president Kim and current executive by 24 GTA branch representatives. 24개 시·군 회장단,김경덕 회장과 현 집행부 신뢰와 지지하는 성명서채택 발표했다. 30일 경기도태권도협회(이하,GTA)는 산하 30개 시.군 중 24개 시.군 대의원(회장단)이 참석한 가운데 협회 태극실에서 열린 “2019년 정기대의원총회”에서 스포츠공정위원회로부터 자격정지 6개월을 받은 김경덕 회장과 현 집행부를 신뢰와 지지한다는 성명서를 발표했다. 이날 총회에서 서정욱 의왕시 대의원이 긴급 발의한 ‘김경덕 회장 관련 현 집행부 신뢰와 지지 성명서 채택’안건이 정식 심의 안건으로 상정됐다. 이에 참석 대의원 24명 전원이 찬성하여 “김경덕 회장과 현 집행부 신뢰와 지지 성명서”를 발표했다. 이날 총회심의 안건은 ‘2018년도 사업결과 및 수지결산 승인의 안건’ ‘감사 선임선출 안건’등이 기본상정 안건이나 ‘김경덕 회장과 현 집행부 신뢰와 지지 성명서 채택’을 긴급 발의해 참석 대의원 만장일치로 안건을 의결했다. 한편, 총회를 끝내고 간담회에서 GTA 김평 사무국장은 김회장의 업무정지와 관련 효력정지 가처분 법적인 대응을 할 것이며, 또한 관련이 없는 시군지부 행사장에서 학부모들에도 피해를 주고 있는 전 권ㅇㅇ부회장에 대해서도 건당으로 법적 대응하겠다고 강경한 입장을 피력했다. 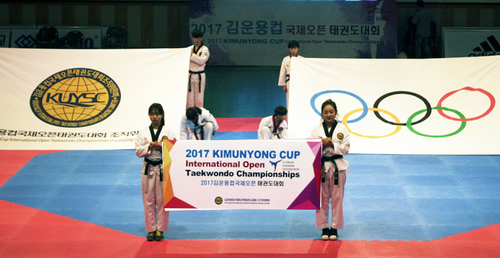 스포츠공정위원회로부터 자격정지 6개월을 받은 김회장과 GTA는 지난 23일 곧바로 성명서 통해 “김경덕 회장을 비롯한 우리 경기도태권도협회 임직원들은 하늘을 우러러 그들처럼 인면수심의 부끄러운 짓을 한 적이 맹세코 없습니다. 그러나 어찌되었든 김경덕회장이 자격정지를 받음으로 태권도계의 중진으로서 누를 끼치게 된 점 경기도태권도협회 임직원들과 함께 돈수백배(頓首百拜)하오며, 태권도계에서 반드시 사라져야 할 갖은 악행을 일삼고 있는 세력들과 끝까지 싸워서 발본색원(拔本塞源)할 것을 천명하고 전통태권도 복원사업에 최선을 다하면서 권토중래(捲土重來)하겠습니다“라 발표한 바 있다.